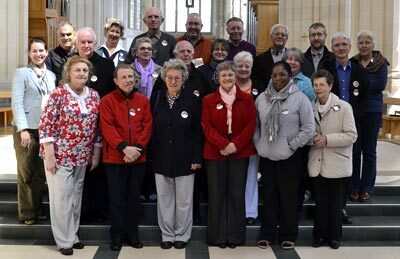 In preparation, Douai Abbey hosted the second weekend Consultation Meeting, attended by Fr Henry O’Shea, Secretary to the Abbot Primate, the members of the Italian Organising Committee, and delegates from Canada, Nigeria, UK, USA, Australia, Netherlands, Germany, Spain and Brazil. Times for meetings had been planned around monastery Hours, with items for discussion including workshop themes, invited speakers, venues and congress costs. On Saturday, participants relaxed with wine&nibbles while viewing a display of posters from UK monasteries and the UKOT website, and enjoyed a magnificent concert by His Majesty’s Sagbutts and Cornetts in the Abbey church on Sunday night. The UK Oblates Team were also present, and our National Coordinator for the next Congress, Thomas Brunnhuber, was helped by Stephen Day, our Treasurer, Sally Mercer, our Secretary, Klara Brunnhuber, our Website guru, Zina Neagle, our Consultant and whose translation skills were invaluable, and Pam Morey, chair of the Team. It was a truly great and successful weekend, and we thank Douai Abbey very much for their hospitality. 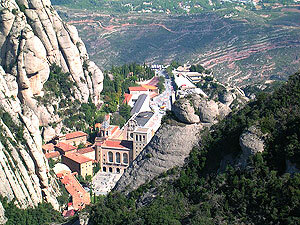 IN PREPARATION FOR THE 3RD INTERNATIONAL OBLATE CONGRESS: CONSULTATION MEETING IN MONTSERRAT. Seventeen oblates from 9 countries gathered at the International Consultation Meeting in Montserrat from 22nd to 25th October 2010 to discuss the format for the next World Congress of Benedictine Oblates. Pam Morey and Thomas Brunnhuber attended from the UK. “It was a truly memorable weekend,” Pam recalls. “All the Oblates ‘gelled’ so well that the business was completed with time to spare and we were able to enjoy each other’s company just a little”.